Besides the profound interaction between your speakers and listening room, the actual equipment support is of prime importance. The benfits of isolating the gear from vibrations has always been an engineering goal in the majority of equipment stands on the market. Micro vibrations are compounded throughout the entire playback chain, and can wreak sonic havoc if not dealt with. Vibration can be so subtle that only upon installation of a suitable equipment support will you appreciate the sonic benefits. Unfortunately many of the materials used, affect the sonics in an amusical fashion. 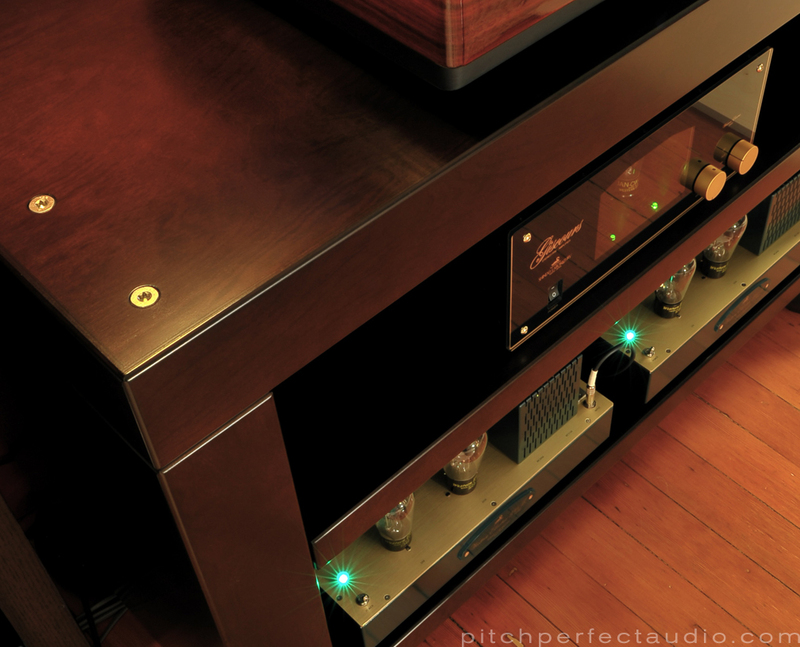 When it comes to music reproduction, everything matters. 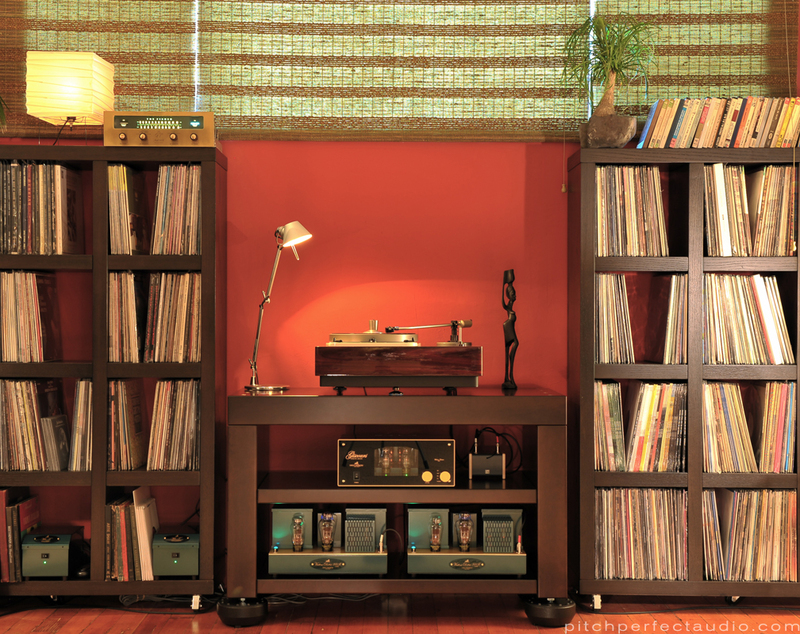 Shelving made primarily of carbon fiber, glass, granite, metals or exotic polymer slabs are simply EQ’ing the sound. Some of these materials are chosen for marketing reasons, and do not give a marked sonic improvement, nor are they truly isolating the equipment. What may sound like better isolation, initially, may be a dulling of the frequency extension, or the reverse may happen, with a ‘tipped up’ treble. This may initially make the system sound exciting, but the effects end in listening fatigue over long periods of time. Enter the LignoLab Equipment Support. The only equipment support of it’s kind anywhere. Weighing in at over 170lbs, with solid wood construction and a unique air/spring damping mechanism that isolates the entire system and components to an astonishing 3Hz. Roomy enough to support 6 standard width/depth components. Available in Walnut and Beech.